Google has been protested by a number of net neutrality advocacy groups, after it made a secret deal with Verizon that might see the internet divided in to tiers. According to the San Francisco Chronicle, the protests were organised by MoveOn.org and Free Press among others, and saw people waving placards featuring Google’s ‘Don’t be Evil’ motto outside the company headquarters on Friday. 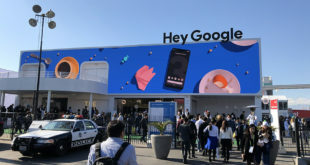 Although Google has long had a pro-neutrality stance, the protesters claim that the deal with Verizon will include provisions that would lead to a tiered internet of premium and basic users, as it doesn’t hold wireless content providers to any standard of neutrality. “It would look more like cable television, where Internet service providers and major content companies like Google decide which content gets priority and which content is important,” said the research director of Free Press, S. Derek Turner. Previous Dixons: ?We?re excited about Christmas for 3D?